We have endless liner pool possibilities to fit the style you have in mind. We’re happy to visit your site, measure the dimensions, talk about patio and landscaping options, and get our designers started on a custom plan that meets your requirements and budget. Going with a vinyl liner system for your new pool means you can go big and get creative with the shape of the pool. We use absolutely top quality polymer wall systems that are 100% corrosion free with a lifetime transferable warranty. Our Ultra-Seam® vinyl liners come with a 20 year transferable warranty with no visible floor seams. Feel free to stop by our office anytime during business hours to get started planning your backyard renovation with Brooks Malone. We’ve got great resources for picking layouts, materials, colors, and more. Don’t forget to check out our Fiberglass Pool options too here on the website. You can always call or email us too, or Request an Estimate and we’ll get right back to you. 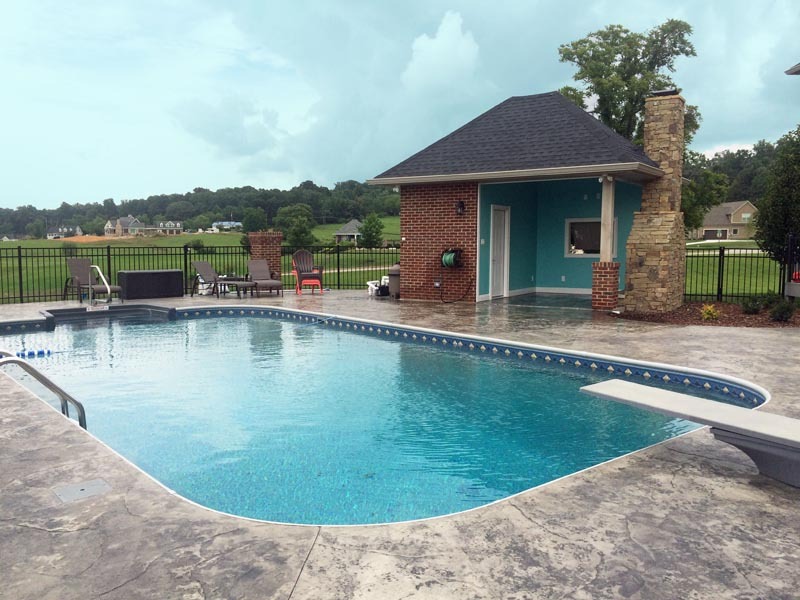 We’d love to talk to you about your new pool or outdoor living project!